Lotus Book Blog publishes a wide range of posts including book reviews, articles, giveaways and other book-related content. The blog reviews books from different genres including Adult Fiction and Non-Fiction. The books featured come from different avenues such as publishers, book sales, second-hand bookstores and weekly craft markets. You’ll also find a wide range of original bookish content like book sales, exciting thriller series and helpful investment books on the Features page! I’m Damien, a huge fan of Adult Fiction and Non-Fiction books, from Cape Town, South Africa. Whenever I spend most of my free time reading at home or running around town visiting local bookstores! My favourite authors are Malcolm Gladwell, James Patterson and Paulo Coelho. My favourite book has to be a tie between Outliers by Malcolm Gladwell and The Alchemist by Paulo Coelho. 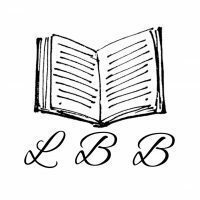 I created this blog as a way of expressing my views on different books and sharing my bookish knowledge with others! I was featured as the Blogger Of The Week on South African Bloggers here!